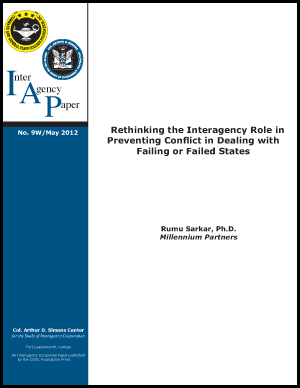 InterAgency Reports are intended to summarize and publish papers and presentations delivered at workshops, conferences and other symposia sponsored by the Simons Center for Interagency Cooperation. These reports are designed to share the ideas and thoughts presented by participants stimulating discussion, enhancing understanding and contributing to the body of knowledge concerning aspects of interagency cooperation, collaboration, and coordination across diverse United States government agencies and departments. These are articles, essays, papers, reports, and studies published exclusively on the Simons Center website. Web exclusives are designated with a “W” following their publication number (e.g. No. 15-02W). One of the main goals of the Simons Center’s book program is to foster a deeper understanding of the emerging interagency environment. The Simons Center publishes books on issues impacting the cooperation, collaboration, and/or coordination among and between various departments, agencies, and offices of government. These books focus on the policy and application levels and involve interagency matters pertaining to national security; counterterrorism; stability and reconstruction operations; homeland defense and security; and disaster preparation and response. 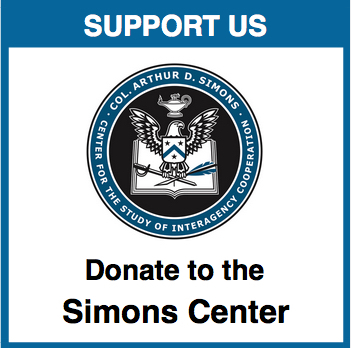 The Simons Center serves as a sponsor for selected books, which are primarily published by the Command and General Staff College Foundation Press. Simons Center books may also be produced in cooperation with other publishers. The Simons Center is always looking for authors to contribute manuscripts reflecting their experience, study and insight. 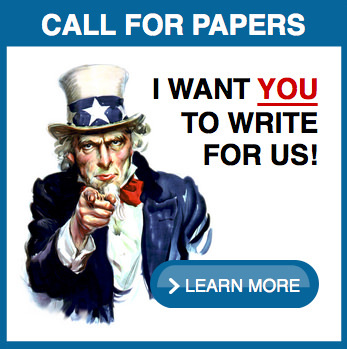 Prospective authors are encouraged to submit their works after a review of the Simons Center Writer’s Submission Guidelines and the Simons Center Interagency Research Topics list. Manuscripts may be submitted online through the Contribute Content page or by contacting editor@thesimonscenter.org. Contingency operations are currently taking place in dangerous, unpredictable, and highly volatile environments where local government institutions have weakened or collapsed. In view of these conflict situations, it is recognized that the initial task of the military (whether national or multilateral) is to provide security. On December 15, 2011, the U.S. mission in Iraq became State Department-led, and all U.S. military activities became the responsibility of the U.S. Embassy’s Office of Security Cooperation–Iraq (OSC-I). There are few, if any, well-known examples of such a transition in U.S. history that might inform civilian and military leaders in Baghdad. When intervening forces create a safe and secure environment to implement a whole of government approach, they simultaneously create opportunities for hitherto unnoticed and powerless opponents to do the same—and sometimes more successfully.